to produce an inventory of the different types of welfare to work programs emerging across the country. to analyze the dynamic relationship between program design, community resources and individual/family capacities. to assess the impact of the linkage between program design, community resources and individual/family capacities on program success. The first objective has been completed with the collection of comprehensive information on all provinces/territories' welfare to work programs. 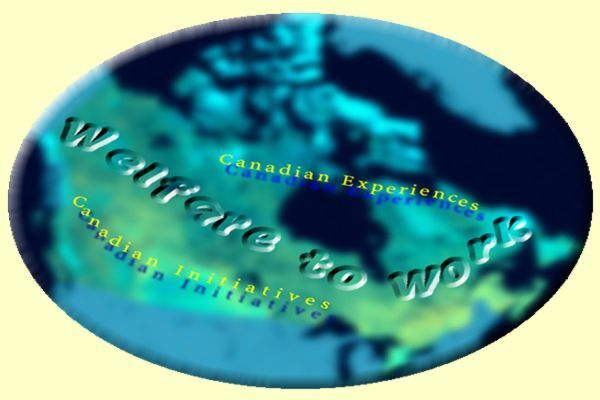 Both the National Inventory on Welfare to Work in Canada and an accompanying discussion paper entitled National Welfare to Work Programs: from new mandates to exiting bureaucracies to individual and program accountability was published and disseminated by the Canadian Council on Social Development / Le Conseil canadien de développement social in the fall of 1998. The other objectives were addressed in Phase 2 of the study which included data collection in six Canadian communities. All the communities had experiences with welfare to work program implementation. Phase 2 also involved updating the original National Inventory on Welfare to Work in Canada. The final report will be disseminated in the winter of 2002. Carolyne A. Gorlick, Ph.D/Associate Professor, King's College, The University of Western Ontario is the principal investigator of this research project and Guy Brethour is the research associate/coordinator.